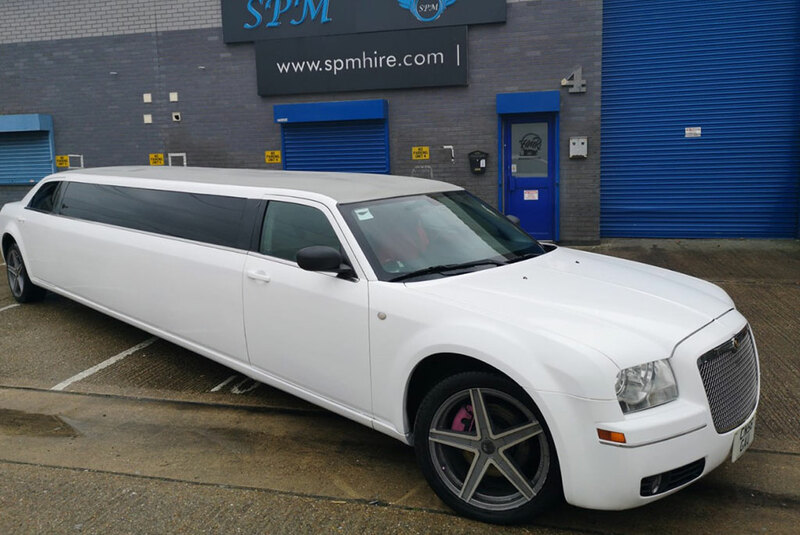 The Chrysler 300C White Stretch Limousine also know as the Baby Bentley has an amazing road presence. With its elegant front grill and long stance it has a road presence like no other. The exterior of the Chrysler 300C is complimented with a classic style, luxurious interior with inclusions to ensure a memorable experience. Be noticed when you hire our Chrysler Limousine and get chauffeured to your chosen location. Weddings / Parties / Proms / Hen Parties / Stag Parties we cover all. The white Chrysler limousine is full of elegance and sophistication. With seating for up to 10 passengers in the back, the Chrysler 300C stretch limo will make the picture perfect start to any special occasion. The bold and elegant exterior, ‘Bentley’ style grill, and eye-catching interior will make sure the mood is all-set for a fantastic journey. It can be a great option as your wedding car hire! Transport is very important on your wedding day and we will ensure it’s perfect. Professional chauffeurs, matched with chauffeur caps,will watch over your every need. 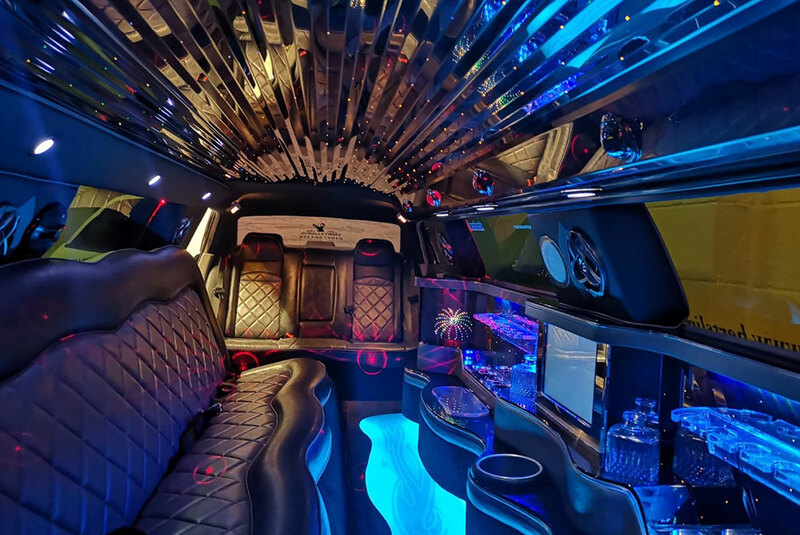 The balance between functional and prestige design is truly incomparable in our new white Chrysler limo— featuring eye-catching sparkly posh exterior with a luxurious interior to make travel comfortable and unforgettable. Every effort has been dedicatedly made to make your ride the most comfortable and smoothest possible. You can ride in class and style in Hummer limo. This vehicle is sure to wind you up and the ride is one of the silver-tongued of any limousines on the road. London will surely welcome you! 8-seater Baby Bentley is also a suitable option for smaller parties. White Chrysler 300 limos are also known as Baby Bentley because they contain Bentley shaped fronts and grills. 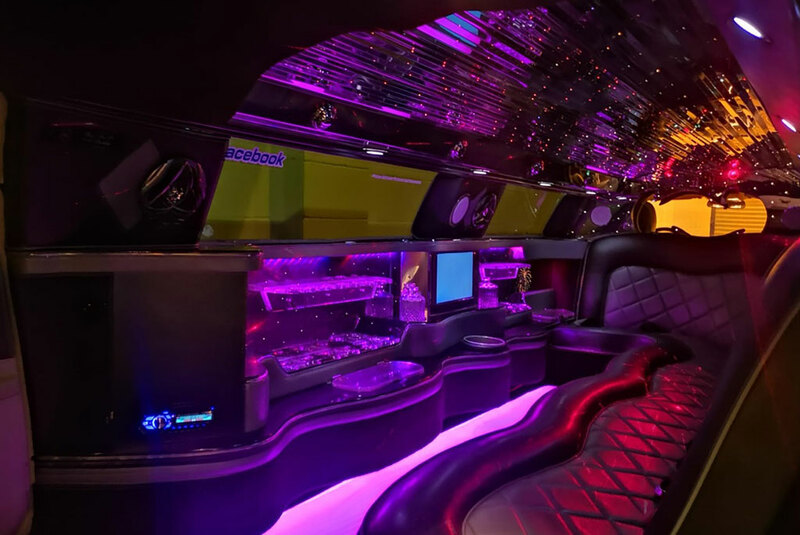 It is the modernly shaped limo— perfect to arrive in style for any special occasion like wedding, prom night, corporate event, and others. Bentley limousine includes neon lights and stargazer which change colour, a CD music system and swanky luxury seating. When planning special occasions, it’s vital to consider both your needs and your wants. When you want to look elegant and sophisticated and need to transport a mob, hiring a luxury Bentley limousine or Baby Bentley is the perfect solution. 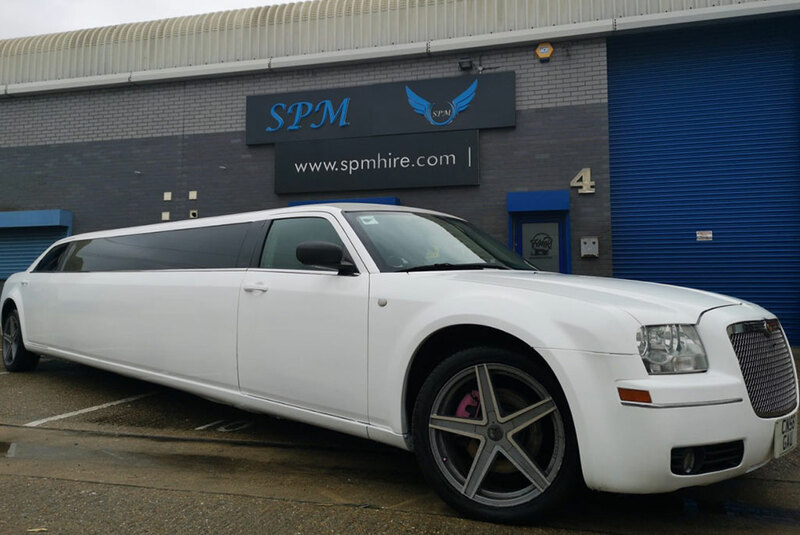 You can rely on SPM Hire to arrive in style and make an impression for a lifetime with limo hire!